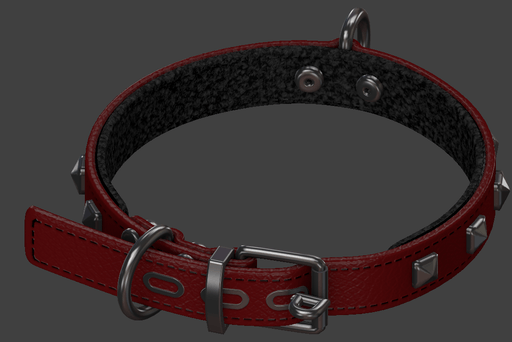 The KDC Classic pet collar is out! 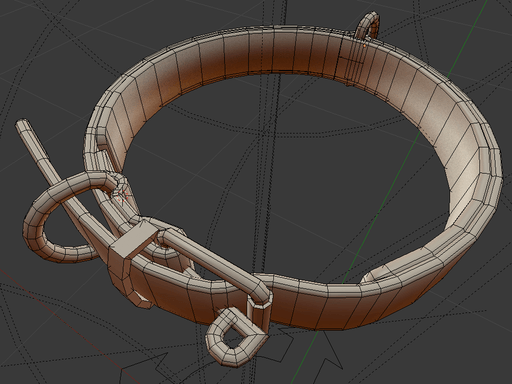 This is technically ahead of schedule, I was actually expecting to spend the entire weekend on it. 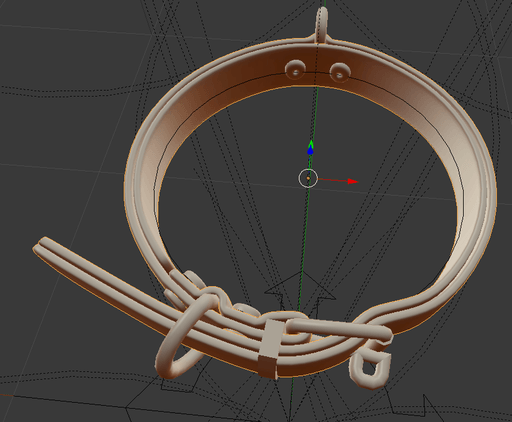 I guess I overestimated the work required, or underestimated my abilities? 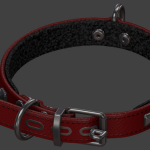 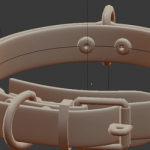 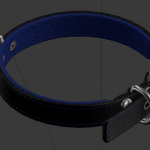 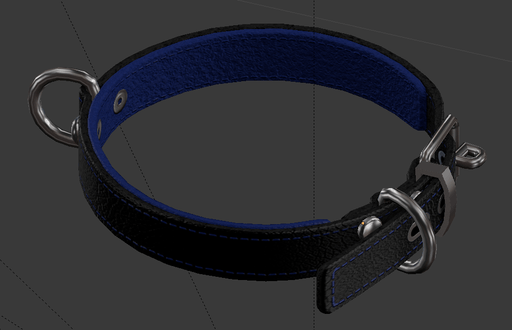 The feature set is fairly similar to the Tasanee collar, but I wanted something less fancy that could actually exist in a mid/high-end pet store, something that could be slightly humiliating to wear. 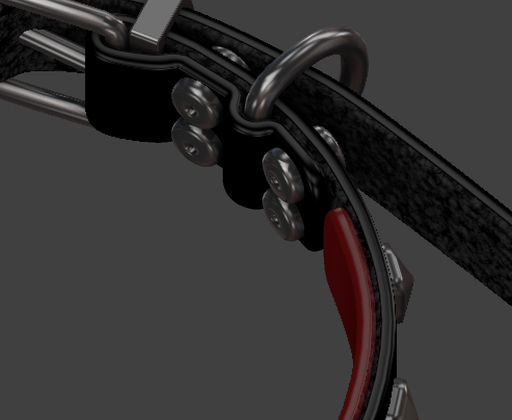 The main difference with my usual leather work is that I’ve done things differently for the backing this time and improved the clarity of the stitches in the normal maps. 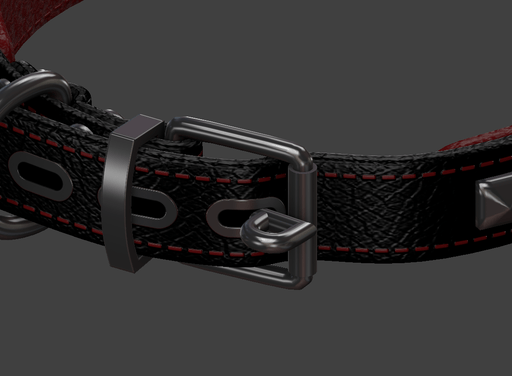 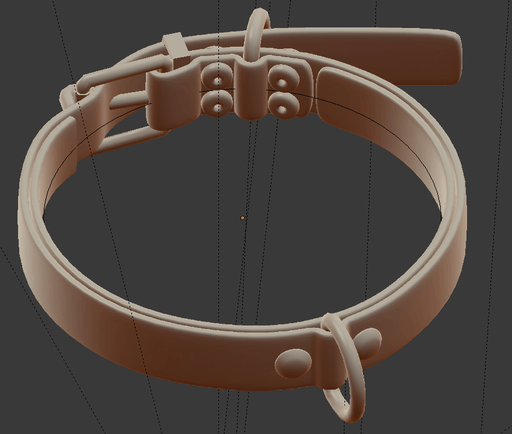 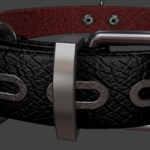 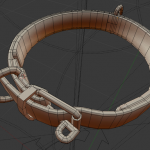 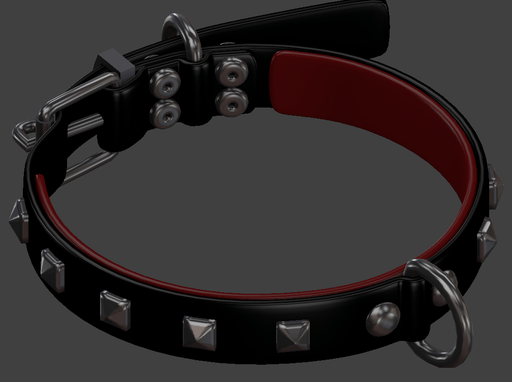 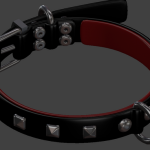 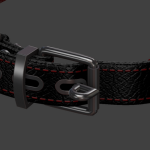 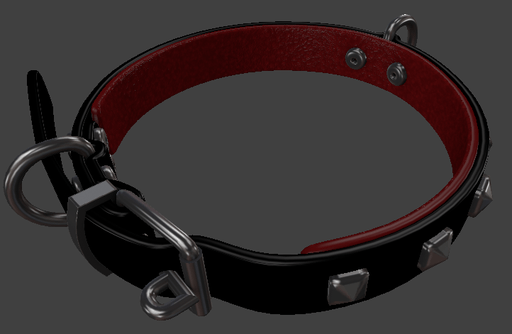 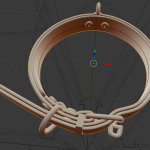 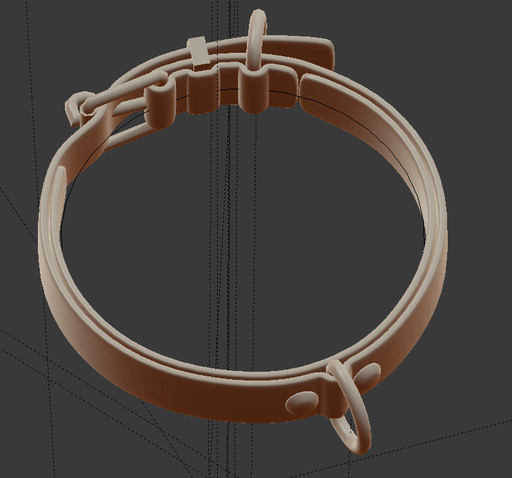 Another difference is that it has a dedicated leash ring instead of the locking buckle doubling up as a chaining point. 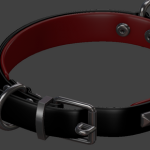 As usual, you can get it from the KDC Main shop or the SecondLife Marketplace. 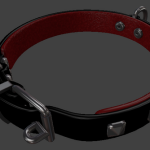 The “thing” I thought that I had solved yesterday wasn’t solved at all. 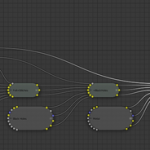 It turns out that normal baking is processed in a way i had not considered and that was the problem really. 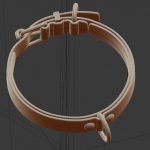 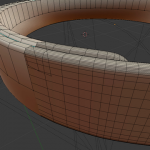 I ended up redoing my material nodes, taking in account that I needed to populate the “normal” slot on my final material. 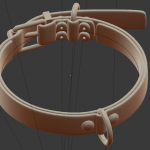 Crazy… The kind of solution you come up with… trying to nap. 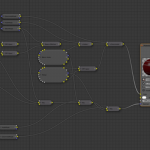 This last picture is a “non final” test of the baked maps. 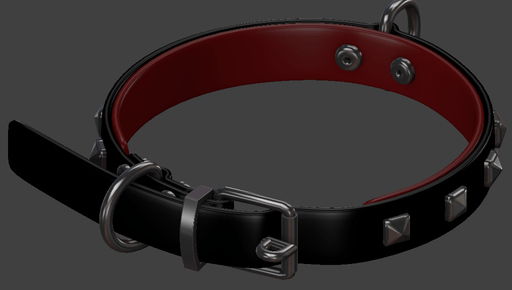 FIXED: Bug that caused the radio module to turn off when the anti-bark function was enabled too. 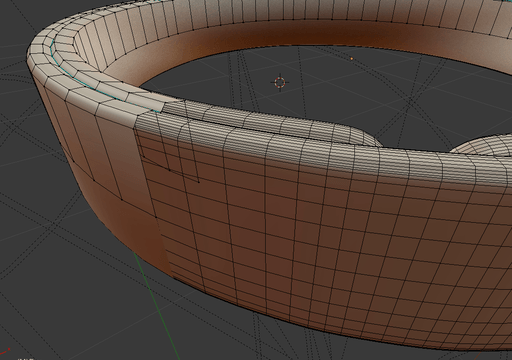 Not much to see today, some poly reduction. 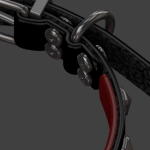 I should probably go lower than that.